It is no surprise that locals and visitors alike believe that the words “pura vida” go hand in hand with Costa Rica. This unique landscape is heaven for anyone who loves nature and travel. Beaches and surfing or nature and getting away from it all? 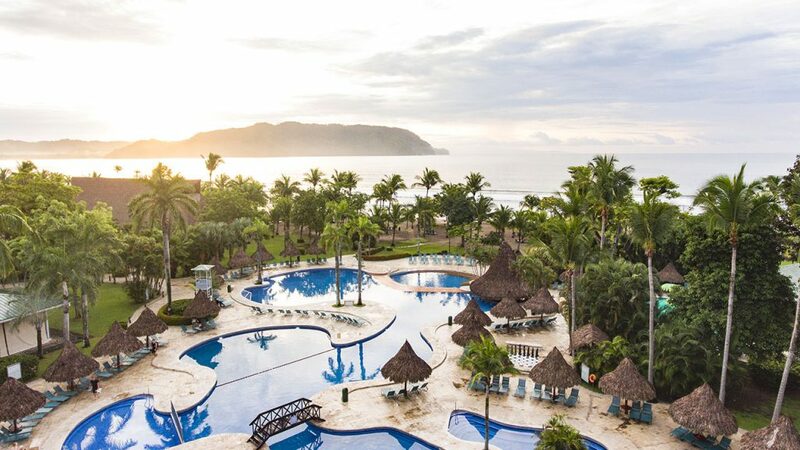 Whatever you have in mind, the Occidental Tamarindo Hotel is one of the hotels in Costa Rica and also the perfect vacation destination. You can make the most of your days off in a sporty setting or a wellness atmosphere. Located a minute away from the beach of Playa de Tambor and with breathtaking views of Bahia Ballena, Barceló Tambor perfectly represents the contrasts of Costa Rica’s landscape. The ideal place for lovers of nature in search of the best Costa Rica vacation, thanks to the rich vegetation of the hills surrounding it and the volcanic sandy beach in front of the hotel. Occidental Papagayo is an adults-only resort on the Gulf of Papagayo on Costa Rica’s Pacific coast. It’s an ideal spot to enjoy an all-inclusive vacation surrounded by lush nature, complete with one-of-a-kind experiences.